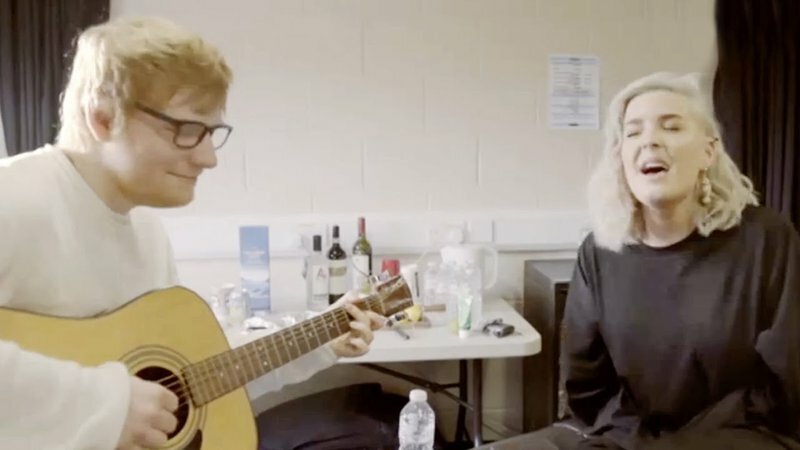 Anne-Marie and Ed Sheeran jamming to 'Ciao Adios' is the best thing ever! Who would ever have thought that these two would sound so incredible together?! Anne-Marie is easily one of my favourite new artists at the moment. Although her new single ‘Ciao Adios’ isn’t really kicking off here in South Africa, it’s taking Europe by storm. Anne-Marie also lends her voice to Clean Bandit’s massive hit ‘Rockabye’, which has become a massive single around the world. Earlier this year, Ed Sheeran chose her as the opening act for his ‘Divide Tour’. The show has toured Europe for two months already and the two musicians have struck up an incredible friendship. You can totally see that in this video! Ed revealed that he and Anne-Marie often jam backstage before a show and have just released a video of the two performing ‘Ciao Adios’. The clip shows just how great their chemistry is and it has made us wonder why the two haven’t released a collaboration yet? This has easily become one of our favourite impromptu covers. WATCH & LISTEN: Three music videos you must see!